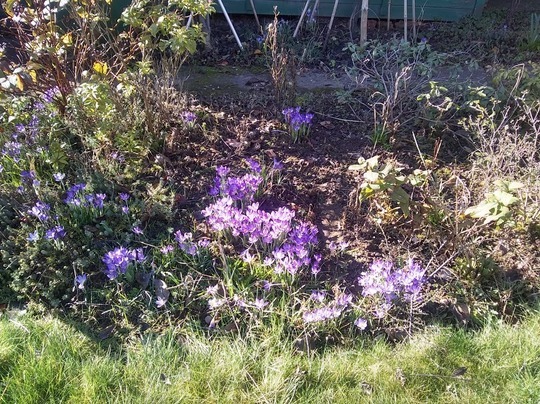 Took this photo of our purple crocuses earlier on today as its such a nice day 10 degrees C.
Good sunny day for crocuses here too.You've a good display there! A wonder sight to see on a sunny day. This photo is of species Crocoideae.